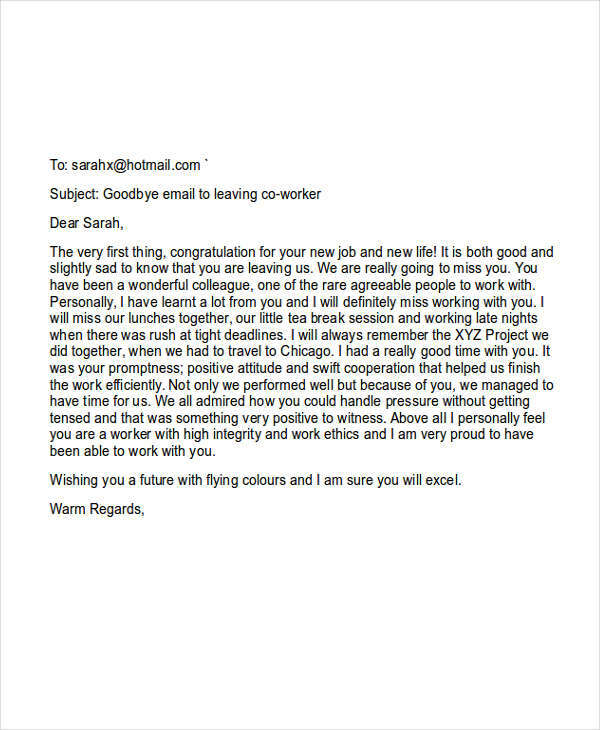 It is not really easy to say goodbye to your coworker face to face, that is why the best way to do it is through writing a goodbye email for them. It becomes easier when you put your whole emotions through writing. 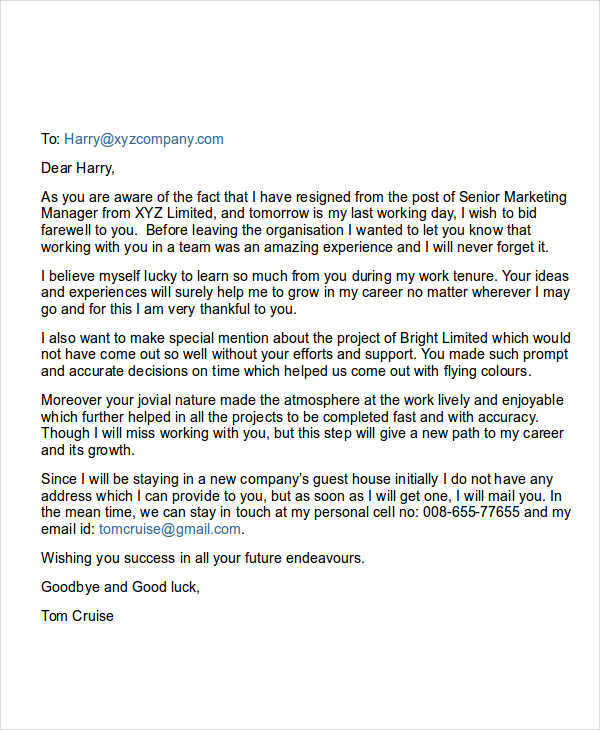 Check out our examples here and find a email cover letter that suitable in your situation. It may be hard for your to say goodbye to your coworkers, but it is what is. You have to face a new chapter in your life and in your career. To make it everything seamless and easy for you, follow these simple, awesome and fun tips. 2. State how sad you are in leaving your coworkers. You can start by mentioning that this was very hard for you. Make sure that anyone can relate. Sent a thank-you email afterward. 4. Mention how long you have worked there. So that your coworker will value the time you put in. 6. Leave your contact info. So you coworkers can still reach you. Here are the important things to consider in writing a professional email to your coworkers. 1. Before writing a goodbye email, think of the following. Making it personal. Do you have a list of people that helped you or touch you in some ways? Write them out to give it a personal touch. Provide some contact details. Leave your phone number or putting your email address in the content will allow people to respond to yourself in email and reach you through your phone number. Use the social media sites. 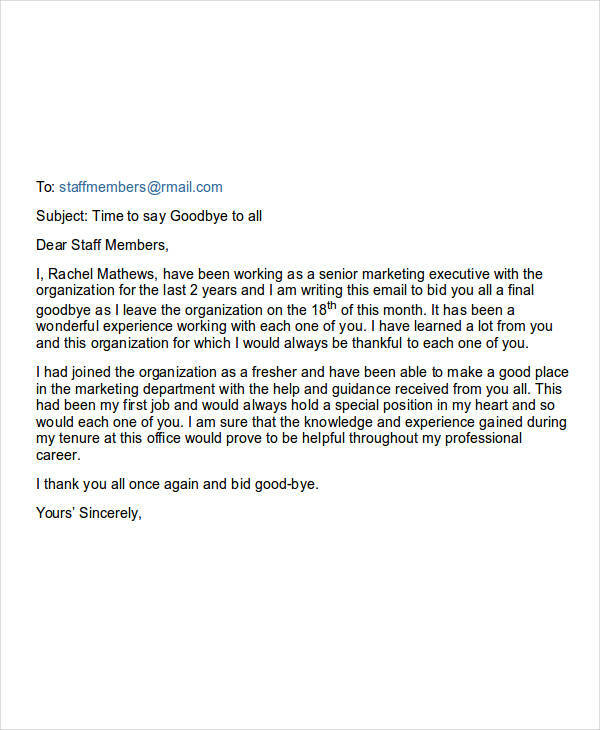 If you happen to forget writing a goodbye email, then your choice is by using the social media sites. 3. 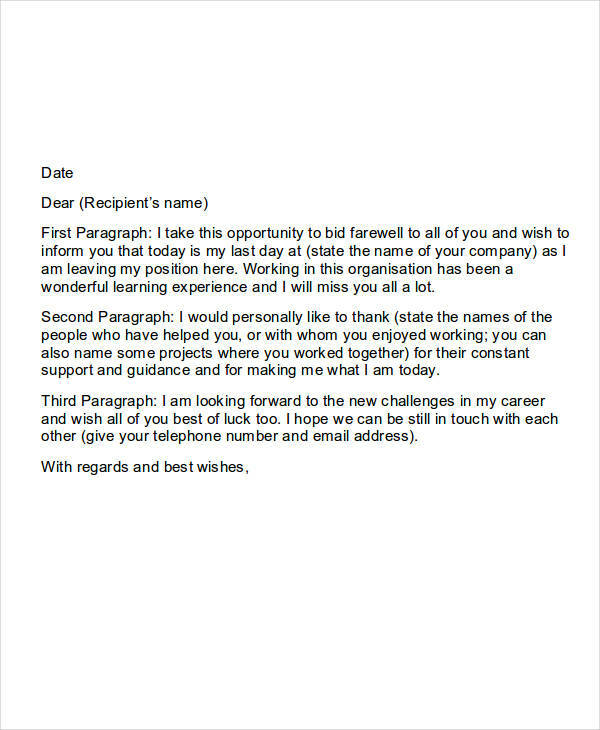 Or you can use our goodbye emails examples in this article so you can create your own formal email and use it as your reference. All of these examples are available for download.